The Normandie Golf Club opened in 1901. If you look at a map of the Normandy area, three large splotches of green space stand out amid the patchwork of small municipalities that make up this chunk of north St. Louis County. They’re golf courses, and they date back to the early 1900s. Listen to historian Jim Healey explain the early days of golf in St. Louis. To find the answer, we talked to Jim Healey, who writes about the history of St. Louis golf. We also visited the Normandie Golf Club, one of the three courses Windham asked about. Normandie opened in 1901 and boasts that it's the oldest public golf course west of the Mississippi River. 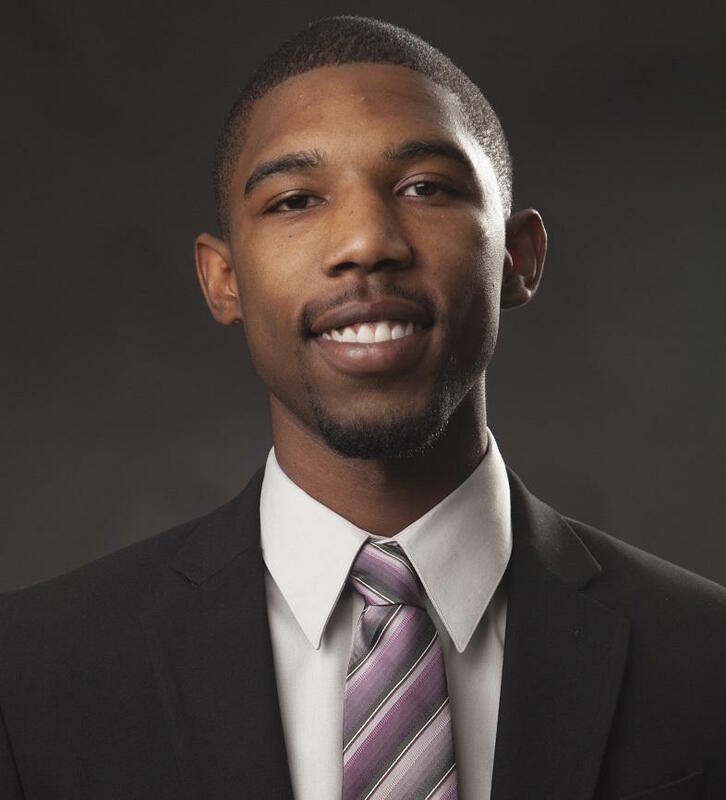 Kevin Windham of St. Louis recently moved to Washington to join the staff of U.S. Sen. Claire McCaskill. 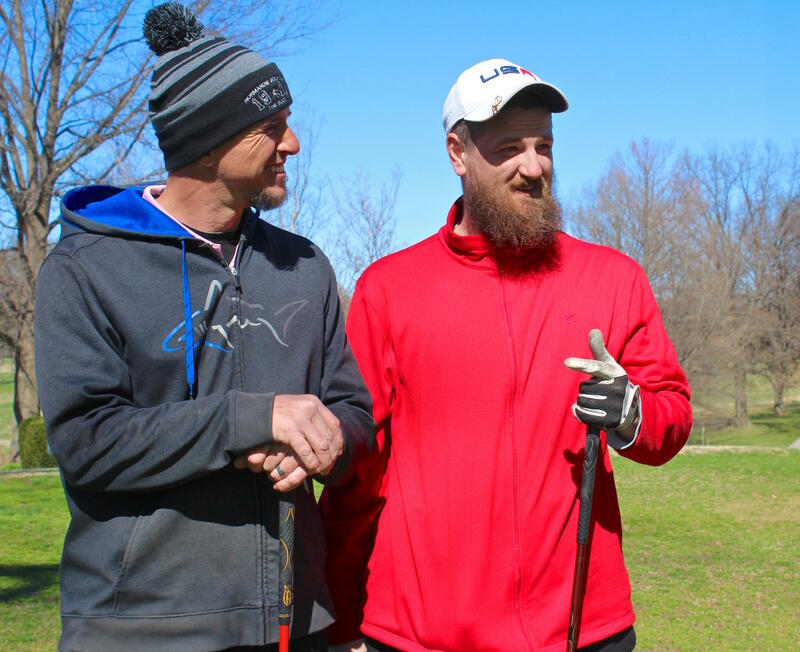 On a recent March morning, golfers were hoping the strong winds would work in their favor at the 18-hole Normandie course. Despite its name, the course is actually located next to the city of Normandy, in the tiny municipality of Bel-Nor. The place has changed a lot since it opened 116 years ago as a private club for well-to-do St. Louisans who wanted to play golf in the countryside. There’s no imposing clubhouse here any more — that structure was demolished in the 1980s. These days, the course is open to the public, and a diverse group of golfers play here. Dan Hough, who works at Normandie, says the attraction is the course itself. That assessment was shared by Ghirmai Desu, who was practicing his putting. He started golfing here six years ago. Desu was golfing with Christopher Redding who lives in nearby Dellwood and plays at Normandie about three times a week. Redding says the green fees are affordable, and the atmosphere isn’t stuffy like some clubs. After Normandie converted to a public course in 1984, it struggled financially, said Jim Healey who writes about St. Louis golf history. Christopher Redding practices at Normandie Golf Club. In 2014, private donors bought the course and gave it to the University of Missouri-St. Louis, which agreed to operate it as a golf course, at least for now. Healey says people who live around the course waged a campaign to save the 100-plus acre site from developers. “It’s a good community asset. People who live in the area enjoy it a lot, and they’re passionate about trying to save the golf course and return it to its former glory,’’ Healy said. Normandie shares its lengthy golf history with two private courses nearby: Glen Echo Country Club and Norwood Hills that were also built around rail lines in the county in the early 20th century. Glen Echo, which also is located in the city of Normandy, holds a special place in the record books: In 1904, Glen Echo hosted the golf competition for the Olympic Games. Norwood Hills Country Club, which is in the city of Jennings, was founded in the 1920s. Glen Echo Country Club had its own railroad stop. Healey says the courses were built on farmland owned by descendants of French-born John Baptiste Charles Lucas who named it Normandy, after his homeland. Golf courses need lots of open space, and there was plenty to be found in the county. The land was also accessible. 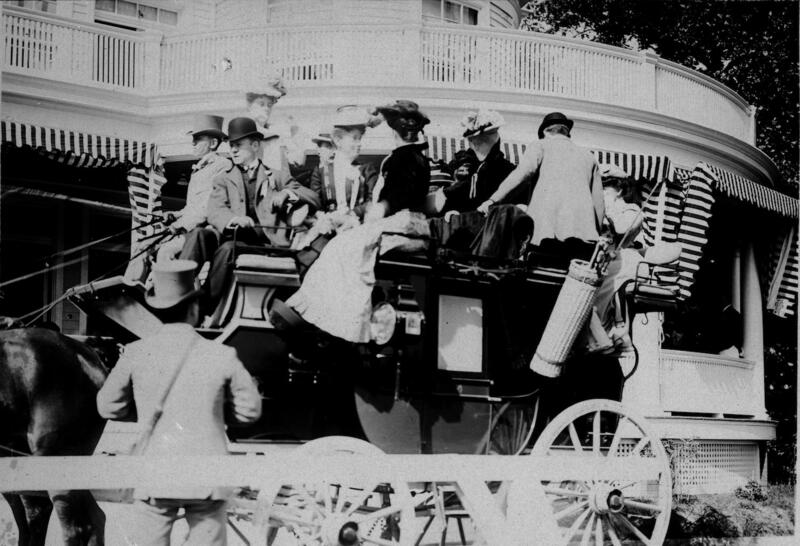 A photo taken on opening day at Glen Echo shows people arriving at the clubhouse on a stagecoach. 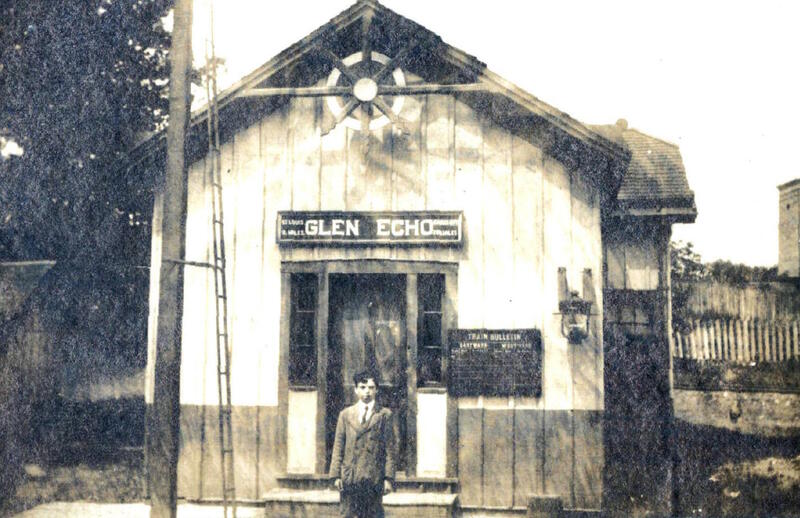 Glen Echo also had its own train station. 1901: Opening day at Glen Echo Country Club in Normandy. Longtime Missouri legislator Wayne Goode, who grew up in Pasadena Hills, said the Normandy area has long been known for its golf courses — and for its cemeteries — which the landlocked city of St. Louis also didn’t have room for. The little municipalities would later spring up around them. The city of Normandy, for example, didn’t incorporate until the mid-1940s. About half of Bel-Nor’s 403 acres is covered by the Normandie golf course and Lake Charles Park Cemetery, which dates to 1922. The village incorporated in 1937. As wealthy St. Louisans migrated westward out of the city, some of the clubs in north county closed or relocated to be closer to their members. The land was then redeveloped. One example is the UMSL campus in Normandy. It’s built on a former golf course: the Bellerive Country Club, which moved to Town and Country in 1959. 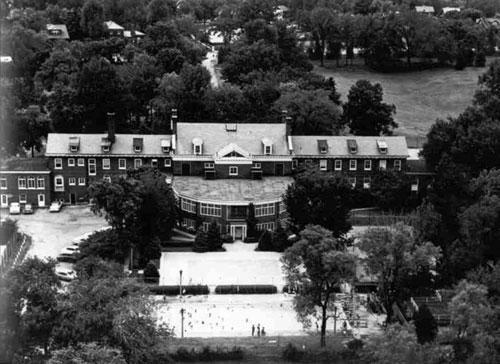 The old Bellerive Country Club served as the administration building when the UMSL campus opened. Classrooms and the library were also located in the building. When Bellerive puts its 125-acre site up for sale, the Normandy School District passed a $600,000 bond issue to buy the property. The district, led by Superintendent Ward Barnes, originally intended to build a junior college on the land. That project evolved and, instead, led to the creation of a resident center for the University of Missouri, which opened in 1960 and is now the UMSL campus. Goode sponsored the legislation that enabled the district to give the land to the state. Ghirmai Desu practices his swing at Normandie Golf Club in Bel-Nor. “The plan was for both St. Louis and Kansas City to offer an opportunity for high school graduates to go to a quality state-run, low-tuition university and get a great education — mainly being available to first-generation college students,’’ Goode said. The first classes were held in the renovated country club building. So, now, the university, which was built on the site of a former golf course, owns the historic Normandie Golf Club. Josh Kidwell and Dan Hough get ready to play a round at Normandie. 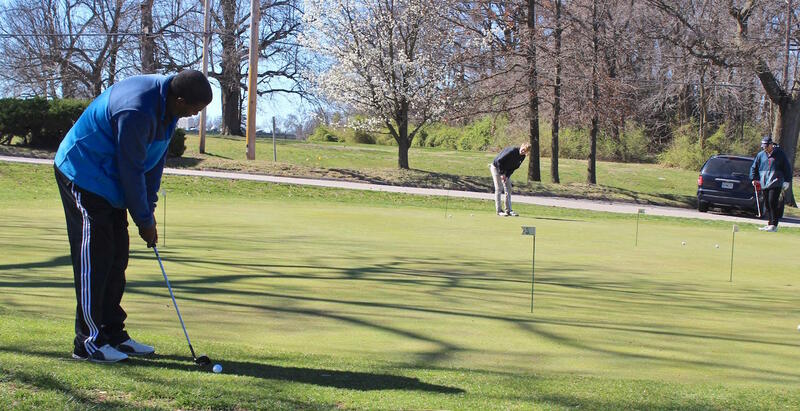 Goode, a former curator of the University of Missouri, says the golf course provides the university with options, should the campus need land in the future. For now, the university is keeping the site as a golf course but has said it will use no public funds for its operation. The university has a 10-year lease agreement with Walters Golf Management, which operates the course. 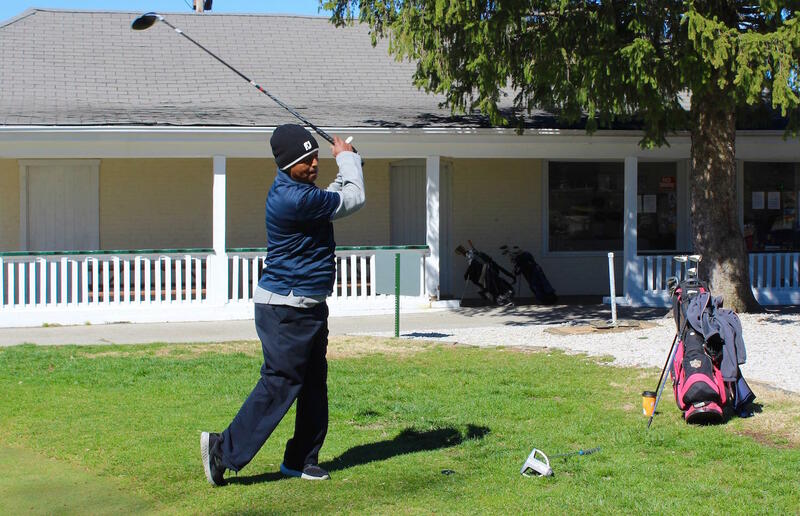 Jay Randolph Jr., who oversees the golf program at Normandie, calls it’s “a golfer’s place” where people from diverse backgrounds come together for the sport. Normandie Golf Course in north St. Louis County has been saved, for at least 10 years, but some of the officials who had worried about its future aren’t completely at ease.